For those of you looking to do something new this weekend, Salt Springs Brewing is celebrating its grand opening tonight. Located in the heart of Saline, Salt Springs Brewing made its home inside a 116-year old church and features beautiful stained glass pieces as you walk through the door. 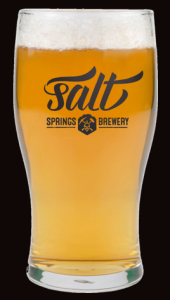 A part Salt Springs Brewing’s mission is supporting local businesses and staying “American made.” Using an American made two kettle brewing system, Salt Springs Brewing will have up to 11 “true to style” beers brewed year-long on site. Throughout the seasons, they will also have different beers and new recipes available. Not a fan of beer? 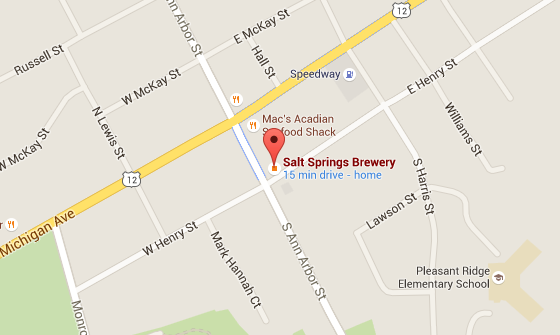 Not a problem, Salt Springs Brewing also has several wines on tap in addition to their own sparkling wine. True craftsmanship doesn’t end at the beer..
Head Chef Justin Dalenberg is bringing their passion of “local” to the menu with farm to table ingredients and unique dishes. “Wild mushroom flatbread,” “beer battered pickled green beans,” and “lemon berbere half chicken” are some of the European inspired dishes available tonight. Did we mention they also have a stone oven for handmade, fresh pizzas? Have any questions about the grand opening tonight? Leave a comment below! We know we’ll be checking it out and hope to see all of you there!